Spring is undoubtedly one of the widely used Java frameworks out there. In this article, we will be listing the best Spring framework books. Java is one of the most prominent languages in the industry. It is mainly famous for its multi-purpose use including implementing and developing enterprise level applications. It is also used in developing web apps and so on. However, it is made more available to the developers’ thanks to the Java Frameworks. One such framework, Spring is known for its usage and functionality. Spring is an open source and one of the most used Java EE framework. It lets you develop a different kind of applications at ease. The modular approach also makes Spring an excellent pick for developers. Developers can pick up a module and start working with it. The critical modules for Spring include Spring MVC, Hibernate Support, Spring Data, Spring ORM, Spring Web Flow and Spring Batch. The Spring Framework is a Java platform that provides infrastructure support for Java applications. Here is an introduction to Spring Framework 5. The online web is full of tutorials and guides. Even the Spring documentation is reliable and offers excellent insight into what the Spring framework has to offer. However, there is nothing that can beat a book when it comes to gathering knowledge. Books are systematized and provide greater insight that is hard to find online. That’s why we are going to list the best books for the Spring framework? Let’s get started. Pro Spring 5 is one of the best spring framework books 2019. It is aimed at developers who already know or are working with the Spring framework. Their main focus of the book is to enable readers to master Spring core topics. The book is written by four writers including Lulina Cosmina, Rob Harrop, Chris Schaefer, and Clarence Ho. All the writers have shared their real-world experience using the book. They have shared knowledge regarding Hibernate, EJB, and remoting. If you are developing an enterprise Java application, then this book can help you to learn how to take leverage of the different tiers of the application including presentation, web, transaction and so on. Spring in Action is one of the best books that you can pick up to learn Spring framework. Craig Walls wrote it. It is also one of the best selling books that are recently updated to including Spring 5.0 update. With this book, you can learn reactive programming, microservices, and Spring WebFlux. It also covers Spring best practices for configuration, application setup and Spring Boot. 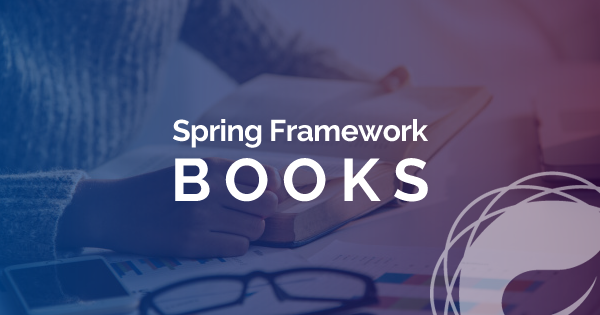 This book is fairly easy to read thanks to Craig Wall’s clear style, so it’s among our list of best Spring Framework books. Spring 5 Design Patterns is yet another spring framework book that lets you learn how to improve your development process. The book is written by Dinesh Rajput and enables you to learn different design pattern to master efficient application development. It also discusses best practices in Spring 5 and uses the design patterns to improve those practices. It is a unique take that every Spring developer should at least read once. By using the book, you will be able to speed up the development process and also learn proven methods to solve common problems. The patterns will also let you pinpoint the main issues in your development process. Also, the patterns work with the latest Spring version, i.e., 5.0. Preparing for a Spring Java interview? Here we bring the top 25 Spring Framework interview questions to help you ace the Spring interview. If you are into building microservices-based Spring application development, then you should give Spring Microservices in Action by John Carnell, a try. It is an excellent book that offers insight into microservices development. We all know how important microservices is as it offers developers the ability to make the most out of the independent services that are designed carefully. The book covers microservice design using a practical approach by helping you build your first Spring Cloud application. Real-life examples are used throughout the book so that you only learn from practice. It includes microservice-based patterns for scaling, routing, configuration, and deployment. 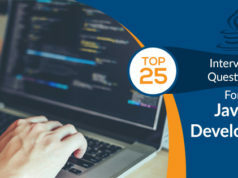 Cloud Native Java is one of the best Spring framework books 2019. Yes, we recommend the book to be read by developers in 2019. The book is aimed at Java developers who want to improve their craft of developing quality cloud-based Java application. It will help you go through the whole process of deploying your first Java application on the cloud. The book is written by Kenny Bastani and Josh Long, both experts in Spring framework. Their book takes a detailed approach and discusses Spring Cloud, Spring Boot, and Cloud Foundry. 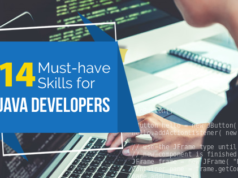 All of these elements are necessary to learn proper cloud Java application development. To ensure that you get a good learning experience, the book also refers to the success stories of NetFlix, Amazon, and Uber sparks. 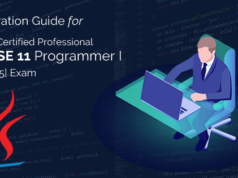 However, the book is not aimed at novice learners, and you must be an experience JVM/Java developer to take advantage of what the book has to offer. If you are new to the Spring framework, then the book, “Getting Started With Spring Framework” by Ashish Sarin and J Sharma. Both are excellent writers and have in-depth knowledge of the Spring framework. They use practical examples and ensure that the learner uses them to make their learning as practical as possible. The 4th edition also takes care of the new Spring 5 and covers new topics such as Reactive and Functional application development. The book covers 88 sample projects which use Java 9 and Spring 5.0.1. Overall, the book is excellent for anyone who wants to get familiar with what the Spring framework has to offer. Cookbooks are extremely useful for developers who believe in not reinventing the wheel. Cookbooks let you not only get access to common problems but also learn at the same time. That’s why we recommend reading Spring 5.0 Cookbook and use it in your development process. The book is aimed at Java developers who already know a fair bit for Spring development. It also covers new topics to React 5.0 such as reactive programming. Spring 5 Recipes is an excellent Spring framework book that focuses on problems using real-world code examples. It acts as a cookbook, but with a more practical approach. The developer can utilize the code in their project and modify them according to what they want to do. The book also offers extensive configuration code. In short, you can save a lot of time if you are starting your project from scratch. The book covers both basic and advanced topics such as Spring IoC container, AspectJ, Spring Integration, Spring Batch, messaging, and so on. It also showcases examples of how to utilize databases such as MongoDB and Hadoop. Other key topics that are covered in the book include the functional web framework, reactive Spring, Spring 5 microservices and Spring Framework 5. The book is aimed at experienced Spring and Java programmers. Learning Spring Boot 2.0 written by Greg L. Turnquist provides in-depth coverage of Spring Boot 2.0 in Spring Framework 5.0. As we already know that Spring Boot 2.0 lets business develop a scalable solution. By going through the book, you will be able to leverage databases and use the Spring’s Boot WebFlux framework. The book uses a practical approach so that you can learn the most by using the latest Spring Boot features. The book will make you go through a simple app building experience which you can deploy on the cloud as well. It also covers reactive programming with a focus on how to interact with templates and controllers. This leads us to the end of our list of best Spring Framework books. By reading some of the good books, you can not only learn Spring framework but improve your knowledge if you already know about it. So, what do you think about the listed Spring framework books here? Comment below and let us know. If you are aspired to achieve a better job as a Java developer, you can validate your skills and knowledge with a Java certification. Check out our Oracle Java certifications training that will help you become a certified Java professional. Have any questions regarding Java Spring Framework books? Ask us in the comment below, we’ll be happy to answer you.